A native of Chennai (Madras), India, Dr. Sarma was raised in the suburbs of Philadelphia. 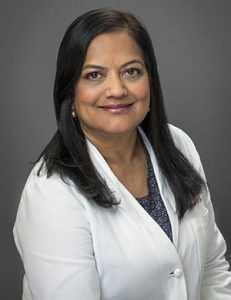 After completing her undergraduate studies and medical school at Temple, she completed her medical training at the Pennsylvania Hospital and Lehigh Valley Medical Center. Dr. Sarma is well known in the community and is conversant in several Indian languages including Hindi and Telugu. Her natural warmth and dedication makes her very popular with our patients.